Known in the ancient tongue as Al Diabolos, the Prime Evil of Terror, the Demon Lord Diablo seeks to claim the world of Sanctuary for the Burning Hells. Support his conquest with this official Cute but Deadly oversized figure! 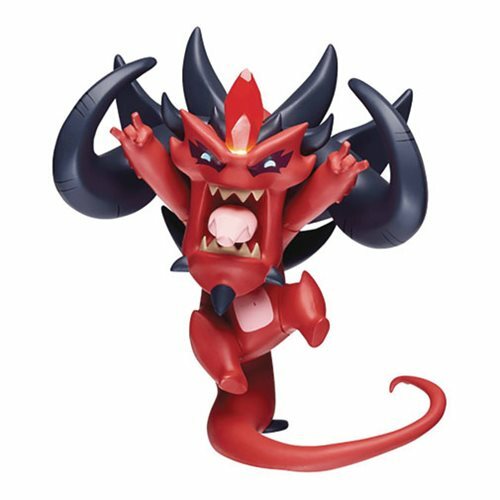 The Diablo Colosso Cute but Deadly Diablo 8-Inch Vinyl Figure measures about 8-inches tall and is made of plastic. Figure comes with 3 pre-installed batteries and instructions for replacement are included. Requires 3x "AG13" batteries, included. Ages 15 and up.